“I started touring while I was sick, but didn’t know why I was feeling the way I felt,” Akenya Seymour says. 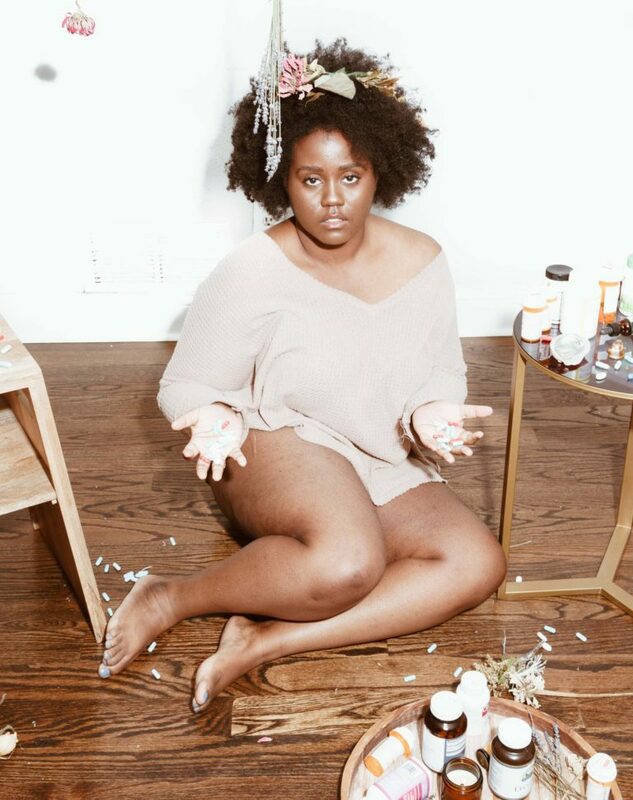 The 26-year-old singer is talking about the time in 2017 when, while on the Telefone tour with Chicago rapper and friend Noname, she came down with terrible cold-like symptoms. She lost her voice and had to go on vocal rest for two weeks. But Seymour’s health didn’t improve. Instead, it became insufferable: prolonged fatigue, shortness of breath, inflammation in her hands and “insane heart palpitations,” she remembers. Her symptoms mimicked those of bronchitis, a viral respiratory infection. She was prescribed antibiotics, but that only seemed to make matters worse. In March 2017, with only four more tour dates to go, Seymour returned home to Chicago. Her body could no longer handle the demands of tour life; the back-to-back performances, poor eating habits and constant travel. At that point in her career, she’d already recorded songs with some of Chicago’s elite, including Chance The Rapper and Saba. Being the opening act and musical director on Noname’s first international headlining tour was another major milestone, but Seymour couldn’t stop her body from rebelling against her. “I didn’t recover vocally until the day before our Tiny Desk Concert in [Washington] D.C.,” Seymour says, recalling the popular NPR music series. That April, Noname performed tracks from Telefone with Seymour playing piano in the background. “I was still sick and was prescribed antibiotics [for bronchitis] – not knowing at the time that I had Lyme [disease],” she continues. Since being diagnosed with Lyme disease, Seymour has made it her mission to uplift others battling the chronic illness through her music. This summer, Seymour dropped “Decay,” her first solo release in two years. The four-minute track is a description of her personal struggle with Lyme disease. To Seymour, the song is an open letter to Lyme, infused with hints of jazz, funk and blues to channel the grief and loneliness she felt inside. A percentage of proceeds from streams and sales of “Decay,” which is available on the major music streaming platforms, goes to The LymeLight Foundation. It’s a nonprofit that provides grants for children and young adults living with Lyme disease to cover treatment and medication costs. That’s why Seymour, a recipient of the LymeLight grant, started speaking out about the disease. There are a lot of socio-economic barriers to proper treatment for working-class and low-income people living with Lyme disease, and Seymour is using her art to bring awareness to that. “Receiving proper treatment becomes nearly impossible, especially considering that a lot of insurance companies don’t cover Lyme expenses,” Seymour explains. Lyme disease is one of the fastest growing epidemics in the U.S. According to the latest Center for Disease Control and Prevention statistics, there were more than 26,000 confirmed cases in 2016 – a 31 percent increase since 2006. The most common transmission of the disease is through a bite from an infected deer tick. Because doctors are divided over diagnosis and treatment guidelines, with many saying there’s no proof that chronic Lyme disease is real, many health insurance companies don’t cover treatment costs. Now that she knows more about Lyme, and how to live with it, Seymour wants to create art that will serve as a therapeutic outlet for others who feel alone in their personal struggles with health and wellness. Her next move is for the doulas; professionally trained women who assist other women in childbirth. 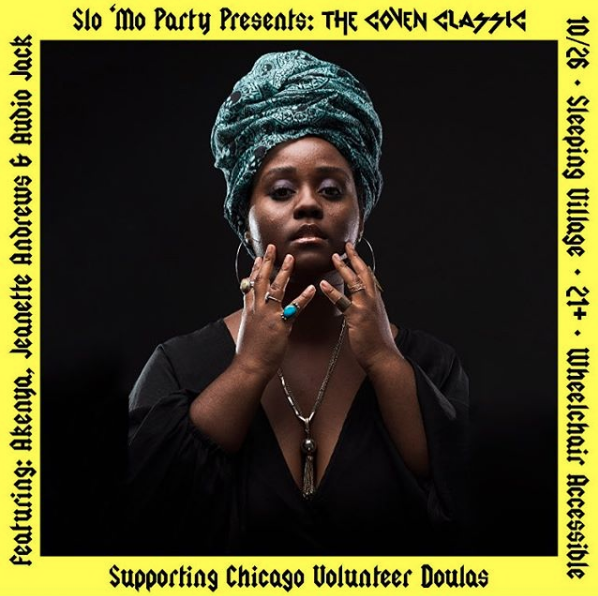 On Oct. 26, Seymour and her coven of dope musicians will perform covers of songs by Stevie Nicks, Nina Simone, and other visionaries during Slo ‘Mo Party presents: The Coven Classic at Sleeping Village (3734 W. Belmont Ave). The show is a nod to holistic healthcare, and a celebration of all the queer, trans, femme, Black and Brown healers across Chicago. Proceeds will benefit the Chicago Volunteer Doulas, a birth justice organization supporting doulas in vulnerable Chicagoland neighborhoods. Essentially, Seymour refuses to let Lyme disease keep her down.